There are numerous places to visit when in Cornwall and the ones that we list are certainly not a definitive list but we do recommend those which we have had personal experience of and can honestly say have kept us as a family entertained and therefore worthy of a mention! However, if you feel strongly that we should add one that’s not here then please drop us an e-mail and we will give it lengthy consideration! This National Trust property is just 5 mins from us here at Barguse and is well worth a visit. It has acres of land and walks for your kids and dogs to let off steam which costs nothing and off road cycling trails which is suitable for all levels including novice riders and families. You can even hire bikes from them. There is a lovely rustic outdoor play area with a café adjacent which serves homemade soup and hot chocolate. Nothing better when the weather turns! The house is also really interesting with lots to amuse both the kids and parents. The indoor trail is genius and my kids loved trying to find the various animals throughout the beautifully preserved rooms. I’m sure most of Cornwall could have heard them when they eventually found the spider in the bath!! 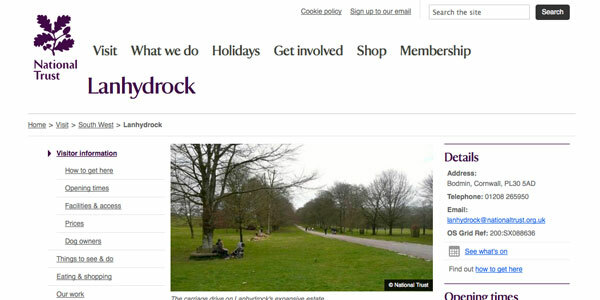 We were so impressed that we took out National Trust membership as it gives us free access to all the NT car parks and properties. It’s well worth the minimal cost as you save on paying fees for NT car parks throughout Cornwall especially in coastal areas & through the UK. 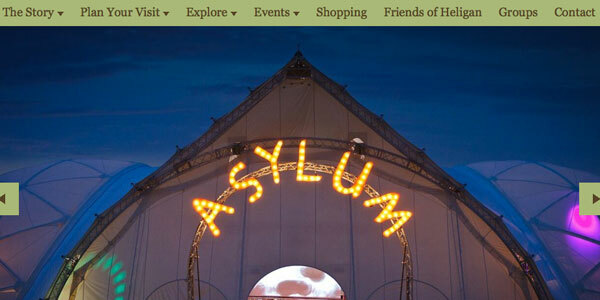 We love this place because there is so much to do for the whole family. The kids love all the different areas and hiding amongst all the plants! They do special themed weeks when for a small fee, you can take advantage of making different crafts with your kids and listening to tales from a teller in a yurt! We’ve made reindeer headdresses and special reindeer food in the winter in preparation for Christmas, experienced a spooky trail through the magical woods at Halloween, decorated gingerbread men, made dream catchers and carved pumpkins in front of a roaring fire and checked out all the various animals around the farm. They also have great shopping & a restaurant!! If you get the chance then book a trip on this train! 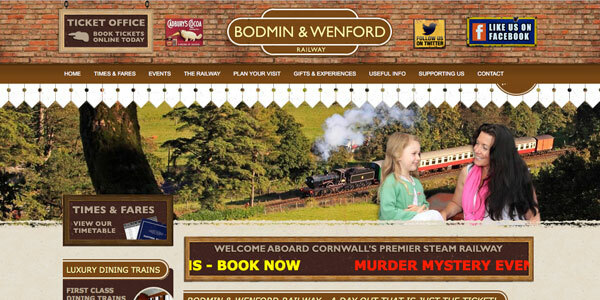 They do various trips and special themed events from murder mystery, jazz specials to fish and chip evenings or just enjoy the magic of riding on these glorious carriages through spectacular countryside under the power of steam. We all know that Cornwall has some of the best surfing in the world. You only have to head to the North coast to experience that! 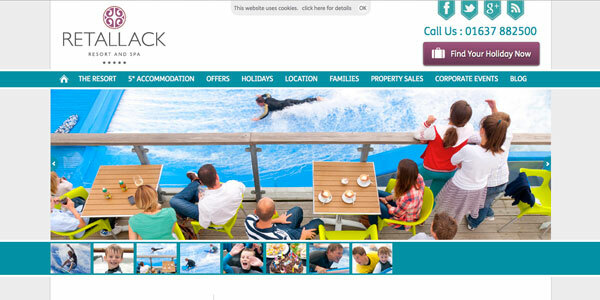 But on those days when the surf is flat then you can always visit Flowrider Cornwall at Retallack Resort. This simulated experience allows people of all abilities and ages the chance to have a go at surfing in a safe, contained environment. They offer tuition for kids from age 5 years and up and there is a soft play area for babies and toddlers to keep them amused! To see just what you’re letting yourself in for then click on the video clip on the above page! 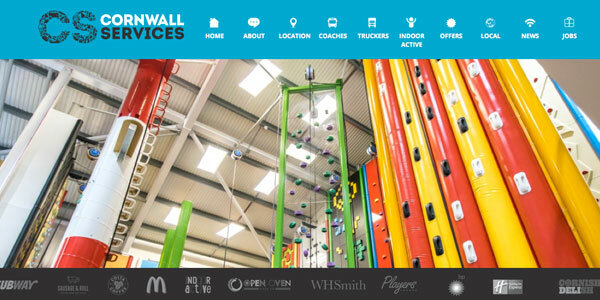 Again, just one junction down the A30 from us is this new facility, Clip n Climb along with a massive soft play area. Suitable for toddlers to retirees, these two activities are the perfect solution to rainy overcast days when the beach is just not an option! My kids love the soft play area and as a parent so do I as it is safely contained and you can relax with a coffee without fear of keeping an eye on where they are going! They also serve great food which is again from locally sourced farms so is high quality and very tasty. I highly recommend the sausages!! The Clip n Climb is situated next door to the soft play which provides us parents with great entertainment! We can watch fearless individuals tackle an assortment of 15 walls and obstacles all from the safety of our chairs and anyone from the age of four may climb. I know this gets extremely popular so you really need to book especially at peak times! Another great venue for families! Sorry for those without!! This boasts an indoor pool and soft play area which runs over two floors. They even do a swim disco each Friday! It’s perfect for letting your kids run riot whilst you enjoy a meal and a glass of wine undisturbed whilst absorbing the views over Mevagissey bay. If you’re looking for activities that suit all ages then Kidzworld may be the answer. They feature all the normal stuff you’d find in the soft play area, ball pit slides, obstacle courses & a particular favourite of my boys is in the pirate ship where they can fire sponge cannons at any unwitting victim that happens to be in the way!! However, they also have a sky trail that will challenge older kids as they negotiate their way around a series of ropes and obstacles set high in the sky, a digi wall, dodgems that the whole family can enjoy and mini golf. You can happily whittle away a few hours in this place! !